We think that a cruise around Melbourne is the perfect way to see this beautiful region of Australia. Cruise 1st Australia offer the very best deals on cruises to Melbourne – click here to see the latest offers or read on to find out more. 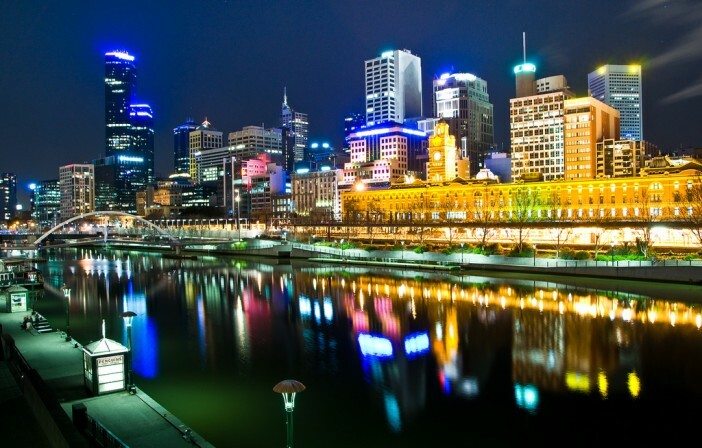 Melbourne was originally part of the state of New South Wales and was made a separate colony in 1851. The discovery of gold a year later propelled the city’s growth and kickstarted the thriving metropolis which is seen today. Today’s visitors to Melbourne will find a relaxed, welcoming and cultural city with plenty to see and do before you embark on the rest of your cruise journey. Melbourne is easy to explore on foot. A good starting point is the centrally located Federation Square (or “Fed Square” to the locals), where you will find bars, restaurants and galleries. Collect a map from the Melbourne Visitor Information Centre within Fed Square and discover the hidden gems of Melbourne – from galleries to coffee shops. This city rewards those who explore the arcades and alleyways off the beaten track. Not to be missed are the Royal Botanical Gardens. Situated beside the Yarra River, these beautiful gardens feature a global selection of plants and flowers and mini eco-systems such as cacti and herb gardens. The visitor centre offers a range of tours and guided walks. Also worth a visit is the State Library of Victoria. Melbourne was named a Unesco City of Literature in 2008 and the State Library was played a big part in achieving this accolade. The library features several exhibitions which provide an intriguing insight into Melbourne’s history. If you are looking for some retail therapy then the Queen Victoria Market is the place to be. With over 600 traders this is the largest open-air market in the southern hemisphere and with everything on offer from clothing to fresh food produce, it is sure to satisfy even the most savvy shopaholic. Cruise lines currently sailing to and from Melbourne include Holland America, Celebrity Cruises, Crystal Cruises, P&O Cruises and Royal Caribbean. Sailing from Sydney you will then cruise to Melbourne, Adelaide and Port Lincoln before returning to Sydney. You will depart from Sydney before sailing to Burnie, Tasmania and then on to Melbourne, Adelaide and Hobart before sailing back to Sydney.